"Drug Crazy is an insightful book about the discriminatory nature of the drug war in America and how our politicians have converted a chronic medical problem into a criminal justice problem." "Never did I think one could learn so much about the drug crisis all in one place. Mike Gray has written a book of profound compassion that nevertheless deals intelligently with the facts. 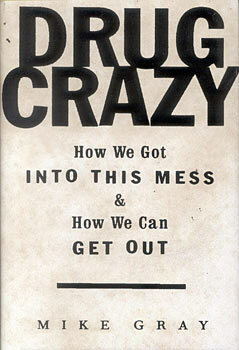 Drug Crazy is an antidote for passivity." "Drug Crazy is an oasis of clarity and common sense in a desert of misinformation and hysteria." "Anyone who thinks the war on drugs is succeeding should read this book. It shifts the burden of proof from the critics of existing policy to its defenders. That is no mean achievement."